Over three prior albums, European producers and songwriters Frank Ryle and Rob Hardt have established themselves at the forefront of danceable R&B as the duo Cool Million. Their music has been consistently strong, and they have brought along with them many great vocalists of the past three decades, from Meli’sa Morgan to Eugene Wilde to Leroy Burgess and more. We've been treating SoulTrackers to sneak peeks at the duo's fourth album, Sumthin Like This, for the past couple of months as we anxiously awaited the full project. Well, it finally arrives on May 8, and it is all that. 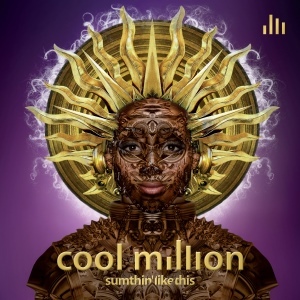 With guest work from such great vocalists as Glenn Jones, Gavin Christopher and Tim Owens, Cool Million has delivered another gem of a disc that should get folks out on the dancefloor. We're pleased to present Sumthin Like This as our SoulTracks CD of the Month for May, with clips from the album below and a link where SoulTrackers can get the full album. Get ready to put those dancing shoes on!